With this streak of hot days, firing up the stove for a home cooked meal is the last thing on your mind. A hot kitchen would not be a very pleasant place to hang out. Wouldn’t you rather be on the patio, sipping a chilled bottle of rosé with a few bites of something light and refreshing? Summer dinners are usually lighter fare as are the wines that would accompany them. Here are some small bites recipes that require no heat when dinner time rolls around and can be prepared in a short time. Prosciutto wrapped Nectarine Wedges garnished with Basil is an easy, light, refreshing bite. This cool recipe can be assembled without any heat. Toss 3 peaches cut into 8 wedges each, with ¼ teaspoon of sugar, ½ teaspoon sherry vinegar, 1/8 teaspoon ground cumin and let stand 10 minutes. Cut the Prosciutto in half lengthwise, and then wrap each piece around a wedge of peach. Garnish with a basil leaf and secure with a pick. Summer Rolls with Cilantro Lime Dipping Sauce are a great addition to our summer repertoire. Similar to a spring rolls only this one is totally fresh ingredients. Almost cooking and an all hands assembly makes for a quick and fun dinner. Just soak a bundle of dried bean thread noodles in a bowl of boiling hot water for 10 minutes. Meanwhile, blanch 1 carrot cut into matchsticks in the microwave until al dente. Halve, de-seed and cut one cucumber into matchsticks, cut a fresh serano chile into matchsticks, and finely shred about a cup of lettuce. Quick pickle the carrot, cucumber and a serrano chile in ¼ cup rice vinegar, ¼ teaspoon sugar, a tablespoon of lime juice and a couple of shakes of sea salt. Let stand 5 minutes. Drain the vegetables and reserve the liquid. Toss the noodles with the reserved liquid. Fill a shallow pie plate with warm water and soak a rice paper round until it begins to soften, about 30 seconds. Place it on a damp cutting board and put a small mound of lettuce, pickled vegetables, noodles, cilantro, mint and/or basil leaves on the round. Fold in the sides and roll up jelly roll style. For the Cilantro Lime dipping sauce, shake the following in and sealed jar: 2 cloves minced garlic, 1 tablespoon grated fresh ginger, 1 tablespoon chili paste, 1/2 cup chopped cilantro, 1/2 cup citrus soy sauce, the juice and pulp from a freshly squeezed lime, 1/4 cup water, 1/4 cup sugar, and salt and freshly ground black pepper to taste. Radishes with Savory Butter is a lesson in simplicity. It’s a cool, satisfying dish with creamy, salty butter and crunchy, peppery radishes. Soften a stick of good quality unsalted butter and blend in the a food processor with a tablespoon of anchovy paste, one minced garlic clove and fresh lemon juice to taste until smooth. Season with salt and serve with radishes that have been halved. This can be done one day ahead and chilled. So what wine to pair with these cool dishes? There’s a wine for every season; and for the summer season, it’s to be chilled, refreshing bottles of Rosé. It has the cody of a red, sometimes, and you can chill the heck out of it because there are no tannins. Rosé is a wine that can be light pink to almost light red in color. The reason for these many shades of pink is how the wine is fermented. In the skins of the red grapes are all the pigments for color and much of the tannins. The longer the skins are allowed to stay in the fermenting juice, the darker the color of the wine. As a result, the wine is not as tannic as red wine and therefore can be chilled without the resulting bite of tannins. It’s very similar to making a cup of tea. If you leave the bag in the cup for about 30 seconds the color and flavors will be lighter. Conversely, if you dunk your tea bag many times, you’ll get more color and tannins. A dry rosé is my go-to summer sipper. Whether you’re on the patio or picnicking under the shade of a big leaf maple, these summer sippers will beat the heat and won’t break the bank. Here’s a refreshing medium bodied wine with tides of flavors with raspberries, strawberries, lychee nuts, and a smooth finish. Always a madcap blend, this one is Merlot, Syrah, Gewürztraminer and Muscat. The two reds are given a 24-hour cold soak on the skins to give the wine its blush and luscious body. The Gewürztraminer was cold fermented to preserve the exotic spicy nose. The wine is mouthwatering, crisp, and light pink in color. This delicious rose is blended from typical Cotes du Rhone grapes, Cinsault, Grenache and Syrah. It’s another medium-bodied refreshing wine with strawberry, raspberry and hint of citrus flavors. The crisp acidity and a touch of spice in the finish make this a fav with food. This French estate, which is a few centuries old, owns and farms some superb properties producing Cotes du Rhone as well as a great Chateauneuf du Pape. Syncline 2013 Columbia Rosé is the embodiment of a Provence rosé. This Washington rosé is amazing, offering beautiful aromatics with flavors of melon, and citrus, combined with supple red fruits of the typical raspberries and strawberries and a touch of pepper. Gorgeous on hot summer days and a complement to lighter fare. Be cool with a chilled glass of rosé and the bounty of summer. Cheers! One of the special things about Taste Washington is the opportunity to explore many different wines from many different wineries in one location. This is the wine tour that comes to the consumer — and there’s plenty offered for consumption. A few years ago, Taste Washington was a one-day event. It ran longer, so single-day attendees had the chance to do a little more tasting, but CenturyLink’s events center often became bloated in the final hours as the crowds made their way toward the finish line. Now a two-day endeavor, Taste Washington is still a well-attended event, but attendees no longer need to elbow around each other to get to the tables of their choice. This year’s event seemed … comfortable. There appeared to be more food available (70-plus restaurants/eateries represented) than in previous years. And there was still plenty of wine available (220-plus wineries in attendance). Media members and VIPs were given four hours to taste, and trust me, the time flew by. My typical plan of attack is to seek out roughly 20-25, seeking diversity of grape and price point. One year, I went on a mission to taste Cab Franc from various wineries. While a worthy endeavor, I probably missed out on some other fine pours. This year, I managed to reach 15 tables, and wasn’t disappointed not to make it around to more. These were virtually all new wines. My palate didn’t feel overwhelmed by day’s end. I’d offer my stamp of approval to most of the wine tasted. –Kyra Winery, for the price, might have been my big winner. Of course, some of the first wine tasted at an event can appear to be special, but the 2013 Chenin Blanc offers tremendous value for $15. 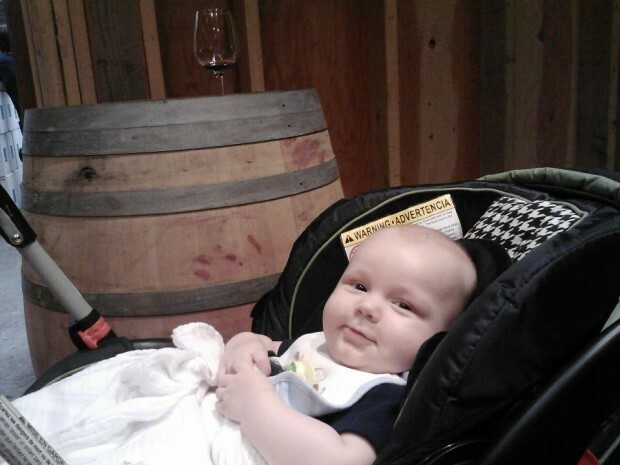 A 2011 Dolcetto and 2012 Sangiovese ($20 each) got thumbs up as well. 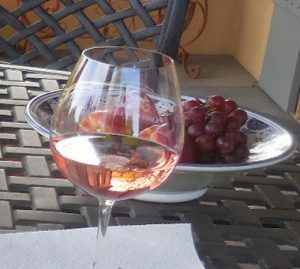 –Whidbey Island Winery had a Rosato Sangiovese that rocked. I’m not a huge fan of Rosé, and admit I haven’t had a ton of experience with it, but this delivered in a fine way. –W.T Vintners offered a Gruner Veltliner, the only one offered at Taste Washington. Nice and dry, it was in hot demand. –Stottle Winery from Lacey was one of the few tables offering Nebbiolo and it was delicious. Appealing brickish color. A favorite of the day. –Robert Ramsay Cellars boasted reds tailored specifically for food pairings, but I found their wines plenty drinkable as stand alones. A 2011 Par La Mer Red Rhone Blend ($25) is ready to enjoy. Their Old Vine Cab made a strong impression as well. –Laurelhurst Cellars didn’t advertise its 2012 Late Harvest Viognier Roussane, but it’s a winner through and through. Find some if you can. –Facelli Winery had a 2012 Chardonnay that made quite an impression. Not overly buttery or oaky, but expressive on the finish. For someone who doesn’t drink Chardonnay much, it delivered. On my next Woodinville excursion, Facelli is on the list. Hope everyone who attended Taste Washington enjoyed their time as much as I did. Spring releases are on their way, so the tasting is just beginning! Say! How ‘bout a rosé? It’s the best lunchtime, lakeside, picnic and food wine out there. It’s the ultimate compromise bottle that incorporates the best of both red and white wines in flavor, body and cool. A wine for every occasion. The French call it rosé, rosado in Portugal and Spain and in Italy it’s rosato. Color ranges from a pale pink to dark, opaque red. The hue is determined by the grape variety and winemaking techniques used. The three ways to make rosé: skin contact, saignée and blending. Skin contact is very much like making a cup of tea, the more you dunk the tea bag, the darker the color. Similarly, the more you punch down the cap during fermentation, the more color you get. Saigner is the French verb for “to bleed”. This technique (saignee) bleeds off the color to make a darker wine by reducing the volume of juice. The pink juice that is removed can be fermented separately to produce rose. Blending is where a tank of white is pumped into a tank of red. It was an inattentive cellar rat who accidentally made the first “white” Zinfandel. Rosés are versatile. They can be still, semi-sparkling or sparkling. They also have a wide sweetness range from bone-dry Provençal rosé to sweet white zinfandels. Rosé are made from a wide variety of red grapes with the most widely used being zinfandel, syrah, cabernet franc, Sangiovese, Tempranillo and Grenache. Today’s wine is the bone dry Domaine Sorin 2011 Vin de Pays du Var IGP. The chateau is located on the Mediterranean cost near Bandol and Provence, home of the best rosés, in our opinion. It’s a blend of Carignan, Cinsault and Grenache that is aged in oak for a few months. This salmon colored blend offers an array of summer fruits: ripe watermelon, strawberry and peaches that show up in the bouquet and on the palate. We’re popping the bubbly for Christmas brunch! A memorable Christmas brunch can only be served with bubbly! It’s celebratory, it’s designed to make you grin and we’ll be honest, what other wine can you sip with breakfast that is acceptable? That’s why for Ann Vogel’s Italian Baked Egg Casserole recipe bubbly is our answer for the perfect wine pairing. The vegetables included in this recipe have us yearning for a wine with some body to it, which is why we recommend a Rosé or a sparkling Shiraz from Australia. Roederer Estate Brut Rosé NV ($26) is located in Mendocino and owned by Champagne producer Louis Roederer of Cristal fame. 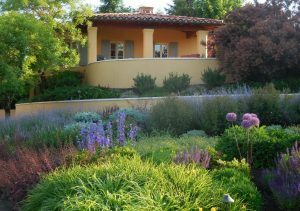 This winery is located in northern California’s cool Anderson Valley. Its tiny bubbles, biscuit aromas and strawberry-flavored Rosé is a real charmer. If you’d prefer the sparkling Shiraz from Australia, we recommend Shingleback’s “Black Bubbles” Sparkling Shiraz from McLaren Vale. It’s a blend of several vintages, like most non-vintage bubblies. This is a darkly colored, deep purple Shiraz. Blackberry and blueberry flavors are lush and sweet and are balanced by the acidity. For the Spiced Praline French Toast Breakfast Casserole recipe, all that sweetness demands some acidity. We’ve come to the conclusion the best wine for this dish is a Mimosa. A nice dry Cava from Spain for around $8 and a freshly squeezed juicy orange or tangelo will set this one off nicely. Or you could bring this celebration to another level by trying this recipe for Morning Glory Mimosa, made with pineapple-flavored vodka. The combination of citrus, bubbles and exotic pineapple have enough acidity and sweetness to cozy up to those praline French toasts. Pour 2 ounces of chilled sparkling wine into a Champagne flute and allow bubbles to settle. Pour 2 ounces of orange juice into flute, stir gently. Top with half a shot of pineapple vodka, stir gently. Last week’s brief bit of sunshine was a good reminder for all of us that, yes, it is technically spring. And with spring comes one of our favorite ways to prepare food: On the grill. Not only do we like grilling because of the flavor it adds, but also because when you’re done enjoying your meal there’s minimal clean up required. As Ann Vogel points out in her column, we in the Pacific Northwest have the luxury of choosing from land or sea what we want to throw on our grill. The variations of these dishes give the appearance of needing different wines, but we think we’ve got one varietal that can match them all. When we hear shellfish, we gravitate to a lighter wine. However the Memorial Day Shellfish Boil, with its Old Bay seasoning, potatoes, kielbasa sausage, corn, crab and shrimp, calls for a wine that can stand up to the mélange of ingredients. It is for this reason we recommend a Rosé. Don’t freak out, we’re not asking you to drink a White Zinfandel like your grandma. We’re talking about a real Rosé — one that embodies the subtle flavors of the red wine it could have been. For those unfamiliar with Rosés (or should we say, unfamiliar with well-made Rosés?) it’s a pink wine that varies in color from light to ruby. The color depends on the grape and how long the juice is allowed to mingle with the skins — the longer they sit together in the fermentation vat, the darker the color. Rosés are fruitier upfront — think strawberry, cherry, raspberry and watermelon — with negligible tannins. They are food-friendly wines, which is why we suggest them as the perfect pairing for Vogel’s seafood medley. If you’re grilling for a large party and including a mix of seafood, chicken and beef, Rosé is the wine to chill and serve. Barnard Griffin 2010 Reserve Rosé of Sangiovese: Dry, but with gorgeous watermelon fruit flavors and full-bodied. Folie à Deux Ménage à Trois Rosé: Another dry full-bodied Rosé, fruit-laden with raspberries, strawberries and a silky finish. These wines are around $12. Rosé should be served chilled — as in very, very chilled — and makes a nice compromise for those trying to decide between white or red. If you’re looking to stick strictly in the shellfish department and have visions of enjoying grilled oysters with Vogel’s Cilantro-Lime dipping sauce, we’d recommend a white Rioja or white Bordeaux blend of Sauvignon Blanc and Semillon. These wines will bring an acidity and crispness to the dish that will go well with the dipping sauce. We recommend the Marques de Caceres Rioja Blanco, which retails for about $10 or less.